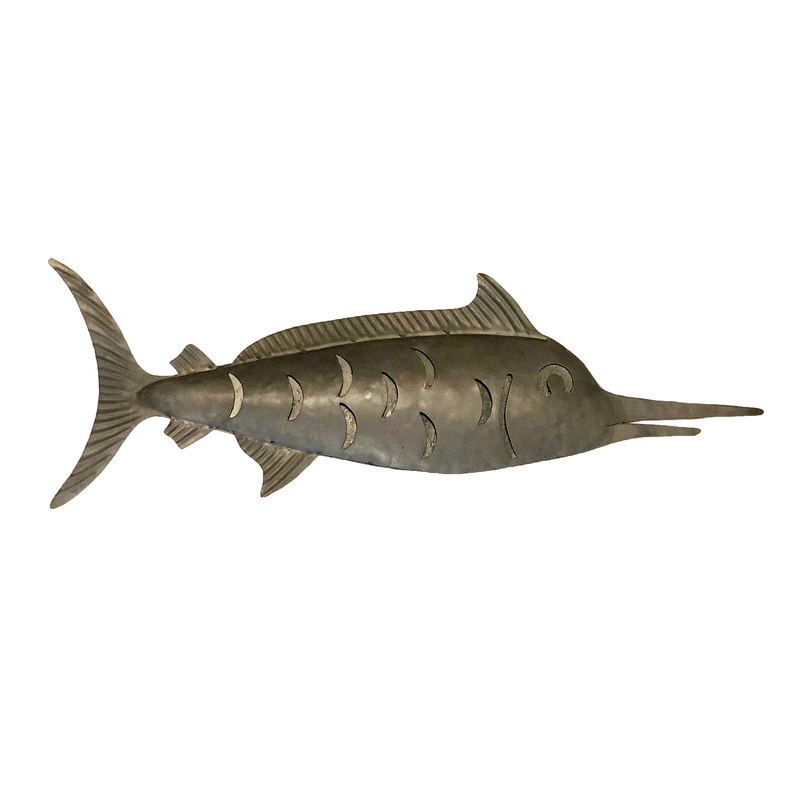 The marlin is one of the most recognizable of all sea baring fish with its long-pointed snout. Some species can grow over 16 feet in length. The simple shape uses halfmoon cut outs to create scales and ripples along the fins to add detail. 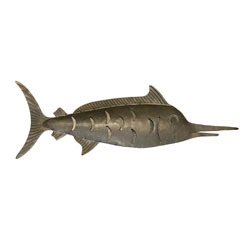 With a smooth finish this fish makes a statement on its own or can be grouped to create a small school.